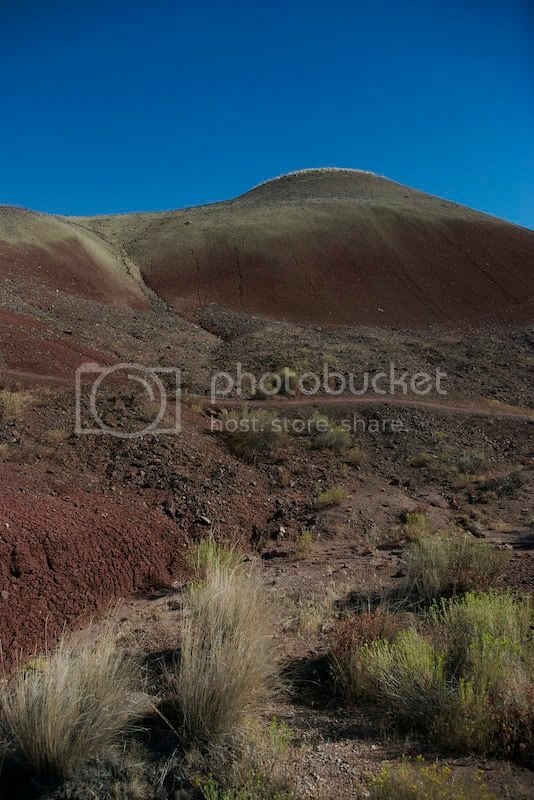 On the road from Bend, Oregon to Boise, Idaho, you can travel along Highway 26 across Oregon's high desert. There's not much reason to go this way unless you happen to be specifically traveling from Bend, Oregon to Boise, Idaho. 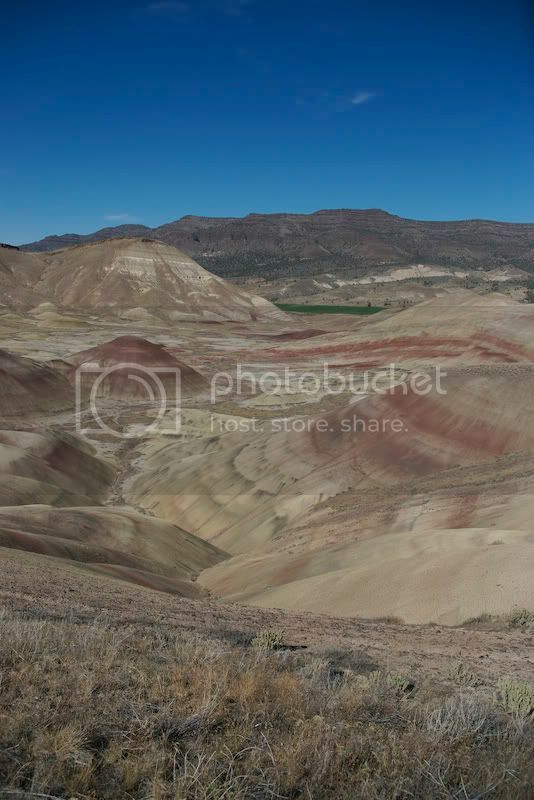 However, if you do, make a point of stopping at the John Day Fossil Beds National Monument. 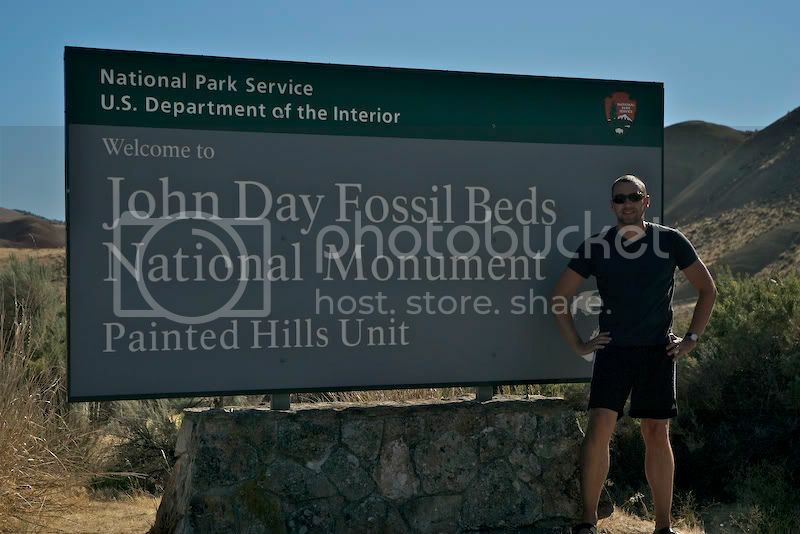 John Day is a collection of three sites: The Clarno Unit, the Painted Desert Unit and the Sheep Rock Unit. 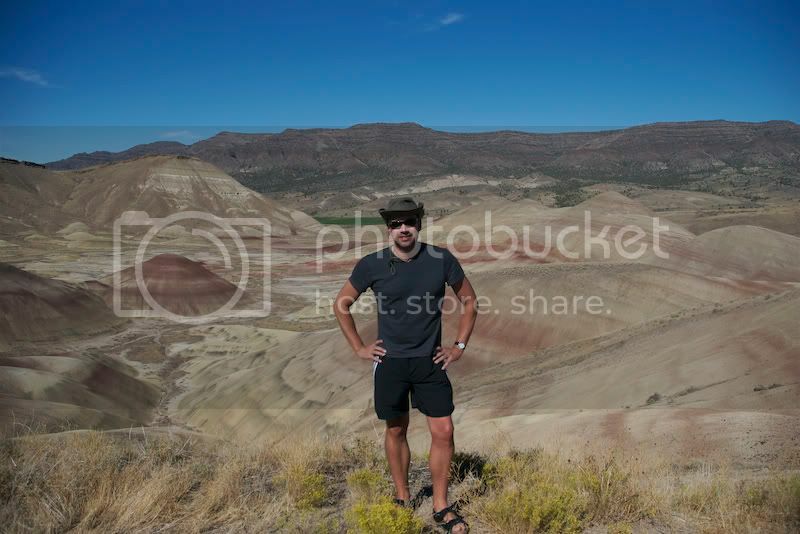 I only stopped at the Painted Desert section and it was well worth the stop. 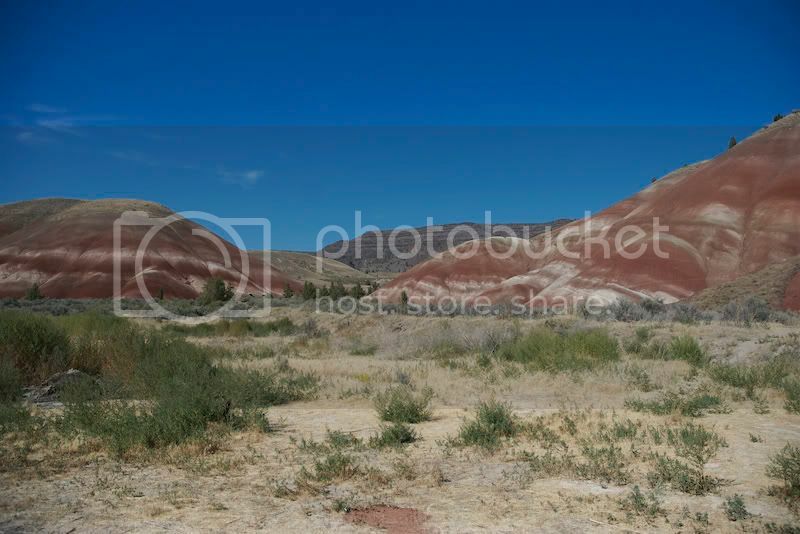 The Painted Desert Unit is small and can easily be seen in about an hour. There are few modest hikes (along a path, not longer than a 1/2 mile). 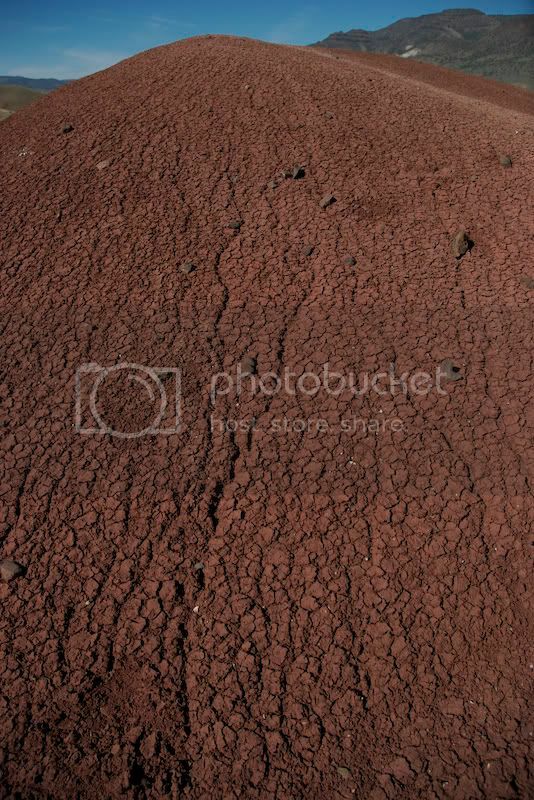 The features are a rare and unusual collection of clay dunes that are brilliantly colored by a variety of processes. 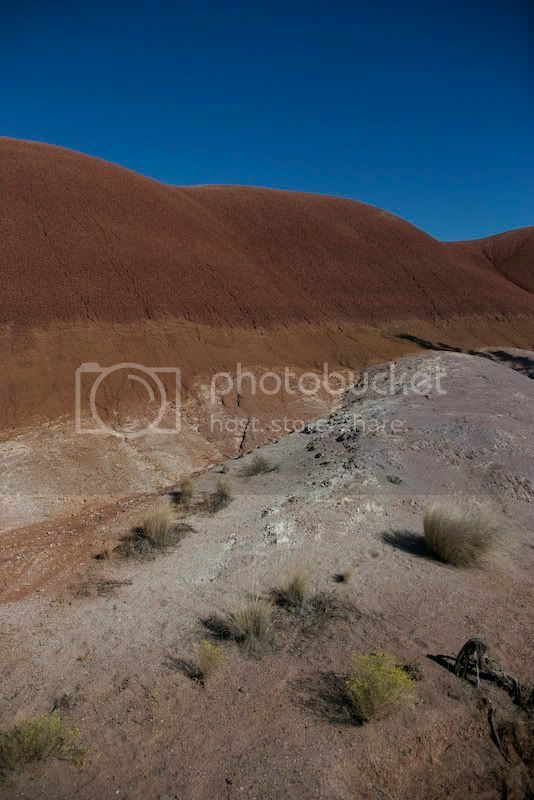 Essentially these were ancient volcanic deposits that eroded into giant mounds of multi-colored clay. 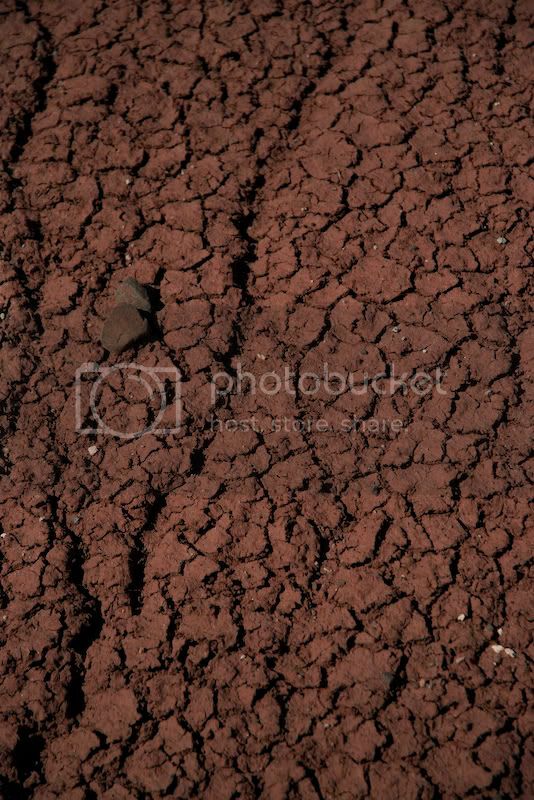 The clay is so dense and porous that no plant life can live there. As the hills absorb and release water, the hues change and are in constant change. Anyway, I took these pictures and left in about an hour and a half.